Telegram has grown to become world most used instant messenging app. The app has received so many countless updates that will even take Whatsapp forever to get. Telegram has officially launched Telegram X which is another version of Telegram app. Telegram X came as a result of an alternative client called Challegram. Telegram LLC acquired Challegram and changed its name to Telegram X. Telegram X has all the main features like messaging features of the original Telegram app, but the UI has more advanced design and some few experimental features too. According to Telegram LLC, the new Telegram X is designed to be 2x more faster than the regular Telegram app. Telegram X has been designed with a new user interface. 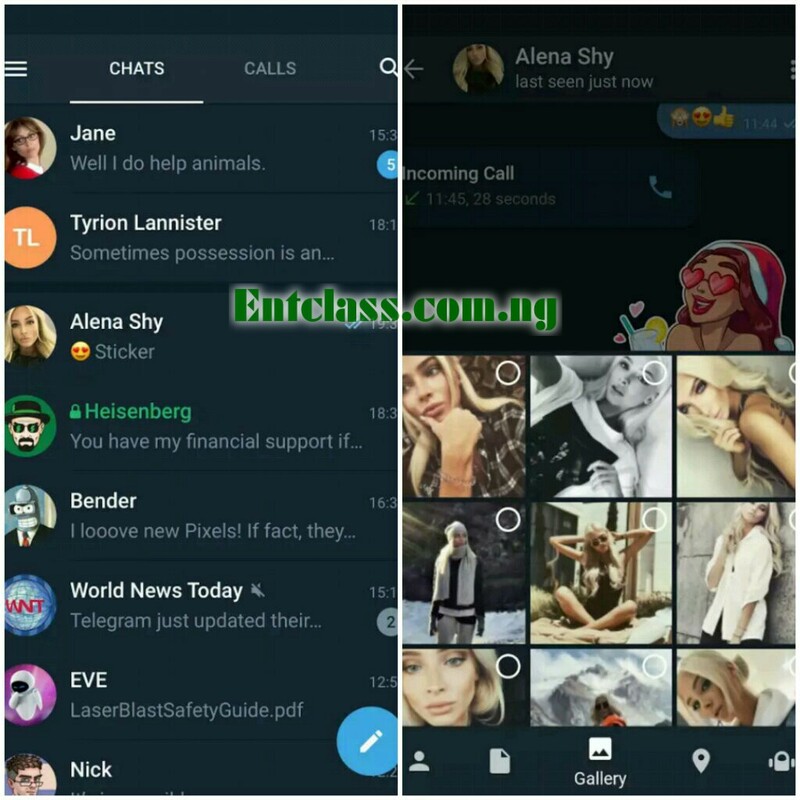 The regular Telegram app has the dedicated calls option on the menu while on Telegram X, chats and calls are separated by tabs, just as seen on Whatsapp and Skype. 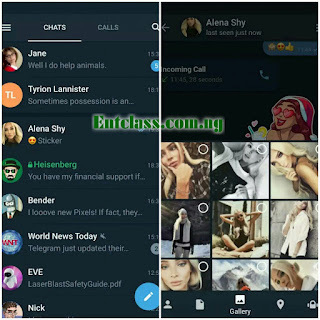 Telegram X has built-in Night mode feature which can be activated at night or when you are in a dark room. You can also long-press on conversations to get a pop-up preview. The text size is also fully configurable. There are some interesting features that came with the new Telegram X which I can't mention all here until you give it a try. In addition, Telegram LLC has increased the member limit of Super Group to 100,000 which is a good news to every group owners on Telegram. You can join our Telegram group chat here. WHERE CAN I DOWNLOAD TELEGRAM X? You can download Telegram X on Playstore and login with your existing Telegram account. Download Telegram X - Playstore. Wow, that's quite big..they might eventually succeed in pulling a good number from whatsapp.